MXGP MAG ISSUE 56 IS ONLINE! 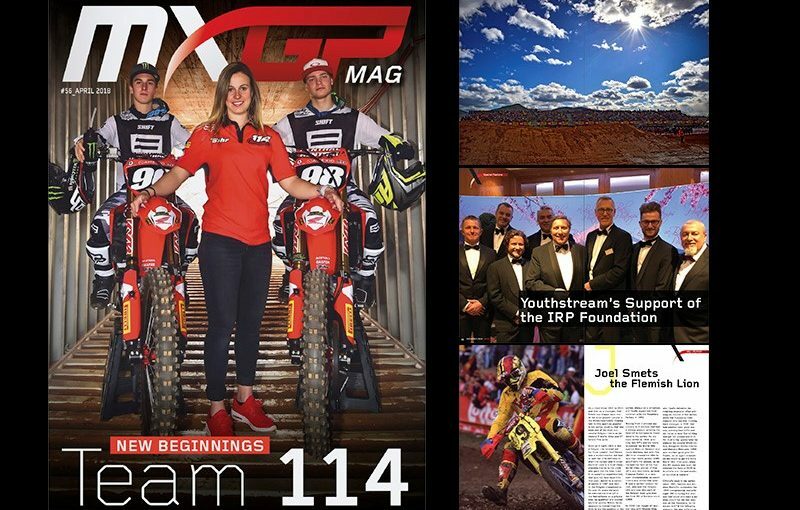 Youthstream is proud to announce that the fifty-sixth issue of MXGP Mag is now online. In the newest issue of the MXGP Mag we feature the newest team making waves in the paddock, Honda 114 Motorsports. Also included in Issue #56 we give a recap of round 2 and 3 of the FIM Motocross World Championship, get you caught up with the activities of MXGP Academy, talk about the IRP Bal de Printemps event, and afterwards we throw it back to the past with a write-up on Heinz Kinigadner’s 1984 KTM 250, and Motocross Hall of Famer Joel Smets. Click here to read the fifty-sixth issue of MXGP Mag or download it for FREE on Apple Store or Google Play.